Expected several days ago, it is now official. 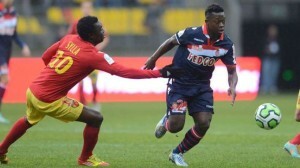 Nampalys Mendy has engaged with OGC Nice. Announced in Manchester United, Olympique de Marseille and Olympique Lyonnais, the Franco-Senegalese finally chosed to wear the colors of the Eaglets for next season. His advisor, Yacine Ayad, has indeed confirmed it to francefootball.fr. The midfielder of 21 years is nearing the end of his contract June 30 with AS Monaco. Mendy has refused to extend with the principality club. The International Hopes trained on the Rock proved last season as a key element in the eyes of Claudio Ranieri. Previous post Unusual: In Italy, baccalaureate candidates working on … Ibrahimovic!